I am being hunted down by media in UK. Sadly they did not look in the obvious place. I will not speak to media so don't waste your efforts, Mallya's said in his tweet early on Sunday morning. 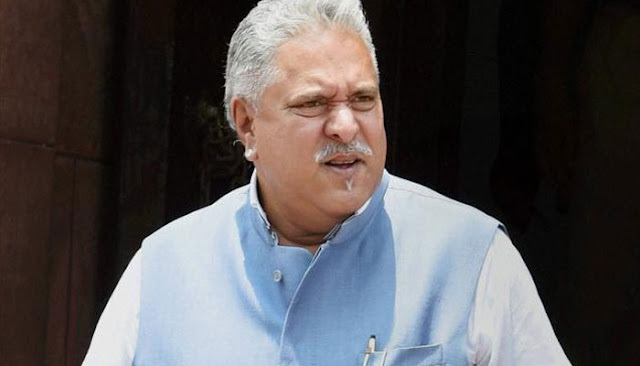 The Enforcement Directorate recently registered a money laundering case against Mallya and others based on an FIR lodged by the CBI last year. The CBI had registered a case against Mallya, Kingfisher Airlines, its chief financial officer A Raghunathan, and unknown officials of IDBI Bank in its FIR alleging that the Rs 900 crore loan sanctioned by the bank was in violation of norms regarding credit limits. The ED had also issued summons to over half a dozen officials of the IDBI bank, one of the lenders, and Kingfisher Airlines under provisions of the Prevention of Money Laundering Act (PMLA) wherein all the individuals have been asked to submit details about their personal finances and Income Tax Returns (ITRs) of last five years to the investigators. Vijay Mallya, the chief of now defunct Kingfisher Airlines which owes thousands of crores to banks in loans, has tweeted to say that he is being "hunted down by media in UK" but he will not speak.